My friend is the mother of a toddler. I know the feeling. They say cleaning your house with young children is like brushing your teeth while eating Oreos. The moment I finish cleaning the living room, I hear a crash in the bedroom that tells me a stack of puzzles has just been emptied on the floor. In the midst of all the mundane tasks — emptying the dishwasher, tackling the laundry piles, filling the cereal bowls — it’s easy to lose sight of God’s greater purpose. How do we capture a vision for motherhood that inspires and encourages women in the various seasons of raising a family? 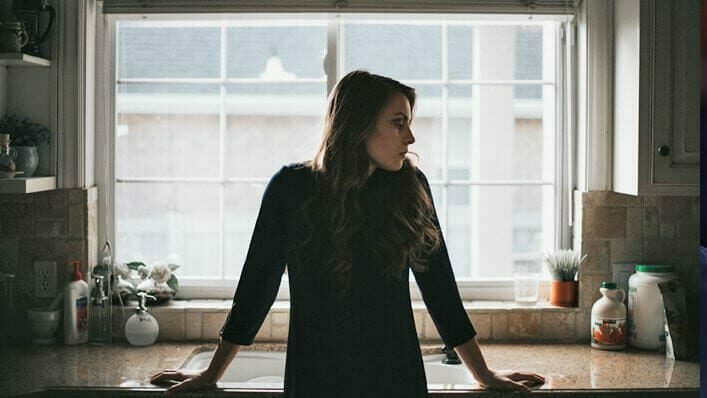 How do we develop a passion for what God has called us to do — one that lifts our eyes from the mess of dishes in the sink to the eternal purpose he intends us to enjoy? Paul instructs young widows to “marry, bear children, manage their households, and give the adversary no occasion for slander” (1 Tim. 5:14). He says older women should be teaching younger women to love their husbands and children, to be self-controlled, pure, working at home . . . that the Word of God may not be reviled (Titus 2.4–5″ data-version=”esv” data-purpose=”bible-reference”>Titus 2:4–5). Last year my daughter entered middle school, and I saw a need to encourage her in the fight against the pressure of air-brushed beauty. So I began a mother-daughter Bible study on true beauty and body image for my daughter and her friends. I don’t consider myself a gifted youth leader, but this is where God has me, and I want to seize the opportunity to influence these precious young women. In a few short years, my daughter will be gone, and I don’t want to regret not seizing the opportunities to invest in her life. Whatever your age or stage, God is at work in and through you. Don’t lose sight of his purpose as you pick up toys for the tenth time, or as you drive your child to soccer practice, again. A welcoming and orderly home — not to be confused with an immaculate one — can teach your children about the beauty and order of God’s creation. Daily carpool rides offer moments to ask your teens about their day. As you attempt to draw out their hearts, you have an opportunity to demonstrate Christ’s tender love and care. You may not receive a paycheck for your work, but you’re shaping souls for eternity. This piece originally appeared on The Gospel Coalition. Stacy Reaoch is a pastor's wife and mother of four. She's written for various ministries, including Desiring God and True Woman. Stacy is passionate about helping women learn to study the Bible and apply God's life-changing truths to their daily lives. She and her husband, Ben, serve Three Rivers Grace Church in Pittsburgh, Pennsylvania. You can find her on Twitter and Facebook.